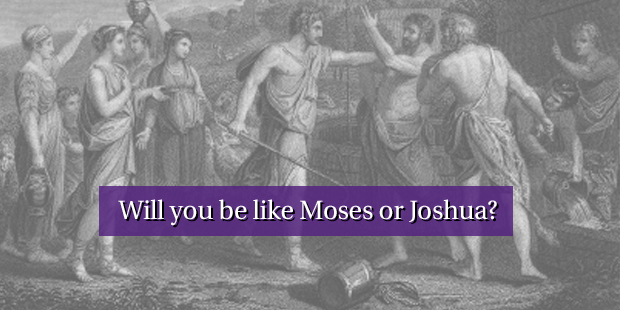 Will You be Like Moses or Joshua? Moses and Joshua enjoyed a very special relationship. Moses poured his life into Joshua, entrusted Joshua with responsibility, and prepared him for service. Joshua is first mentioned in the Scripture when Moses chose him to lead the Israelite army in battle against the Amalekites (Ex. 17:8-16). From that moment forward, we observe Moses intentionally developing Joshua and Joshua learning from Moses. For example, Moses brought Joshua up the mountain to receive the Ten Commandments from God (Ex. 24:13). 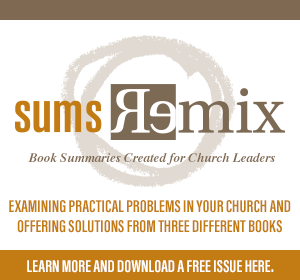 Joshua observed Moses’ righteous indignation when Moses smashed the two tablets (Ex. 32:17-19), and Joshua sensed the holy communion Moses shared with the Lord as Joshua guarded the tent of meeting (Ex. 33:11). As Israel scouted the land of Cannan, Moses sent Joshua as one of the spies (Num. 13:8). Moses proactively and intentionally invested his life in Joshua. And immediately after Moses died, Joshua was given the responsibility to lead Israel. Under Joshua’s leadership, Israel enjoyed great prosperity and victory. 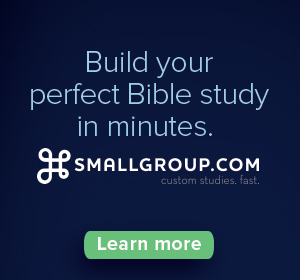 By developing Joshua, Moses helped ensure the following generation would love and fear God. He served his people by pouring his life into another. There is, however, no biblical record of Joshua investing his life in another person. And as we find in the Book of Judges, after Joshua’s death, Israel drifted from the Lord and lived in chaos. The generation after Joshua “did not know the Lord or the works He had done for Israel” (Judg. 2:10). Will you be like Moses or like Joshua? Will you invest in others who will ensure the following generations know of the Lord and His gracious works?